For many teenagers, having hundreds or even thousands of followers and friends monitoring their every move on social media platforms like Facebook, Instagram, Snapchat and Vine is just the new norm. 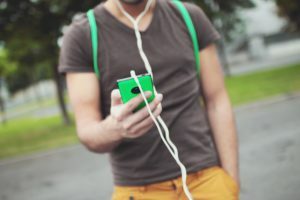 Likes, views and favorites for social media photos, statuses and videos give many teens the connectedness and encouragement they seek. On the flipside, not receiving this attention can be devastating. To maintain their cool image among peers or rise in social media stardom, some teens use their accounts to post about their alcohol and drug use. According to the Pew Research Center, 71% of teens say they use more than one social media site and 94% of teens who are online using a mobile device do so daily. “Even though it may not fit within a teen’s morals and values, they’re sometimes willing to go to extremes to get approval from others or to outdo their friends,” says Amy Kuechler, PsyD, psychologist for the adolescent dual diagnosis program at Rogers Memorial Hospital–Brown Deer. Similar to the pleasure the brain receives from drugs or alcohol, the positive reactions teens receive from social media is exciting—and even addicting. But relying on social media as a source of happiness and personal confidence isn’t the best approach. “Through social media, we’ve created an environment that lacks boundaries,” says Dr. Kuechler. According to Dr. Kuechler, teen brains are still underdeveloped, making it harder for them to see long-term consequences. The first step is recognizing the problem. “It’s common for parents to minimize their teen’s drug or alcohol use as a normal adolescent behavior, because they themselves may have drank or used drugs as a teen,” says Dr. Kuechler. If your teen is excessively monitoring social media, posting inappropriate content, or you’re just not sure who your child is associating with online, asking them to delete all social media accounts probably isn’t a realistic option. If your child is posting themselves with drugs or alcohol on social media, begin a conversation with your child and seek professional treatment. “It’s unlikely your teen will openly admit to you how frequently they’re using substances,” says. Dr. Kuechler. Professional treatment can help teens process and manage the pressures from the online world. “We’re often a reflection of the people we surround ourselves with,” says Dr. Kuechler. 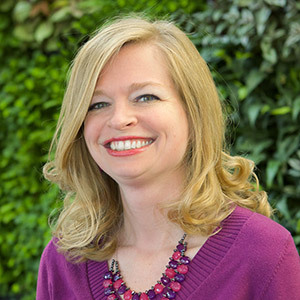 Amy Kuechler, PsyD, is a licensed clinical psychologist who works primarily with adolescents in the partial hospital and intensive outpatient programs at Rogers’ Brown Deer location, including the adolescent dual diagnosis program. In addition to patient care, she provides clinical supervision of a multidisciplinary team. Published on May 9, 2017. Reviewed By: Jacquelyn Ekern, MS, LPC on May 23, 2017.